So you're going to need to stop everything and like this fantastic blog rightttttt NOW! You will thank me later! 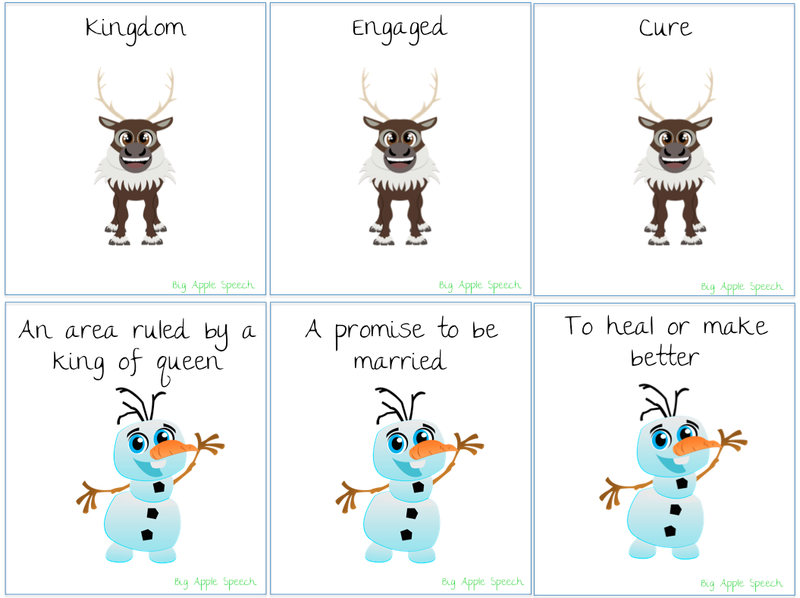 Big Apple Speech is a new blog that was developed by a good friend of mine from grad school. She's a fellow NYC Dept of Ed SLP - lots of acronyms, I know. 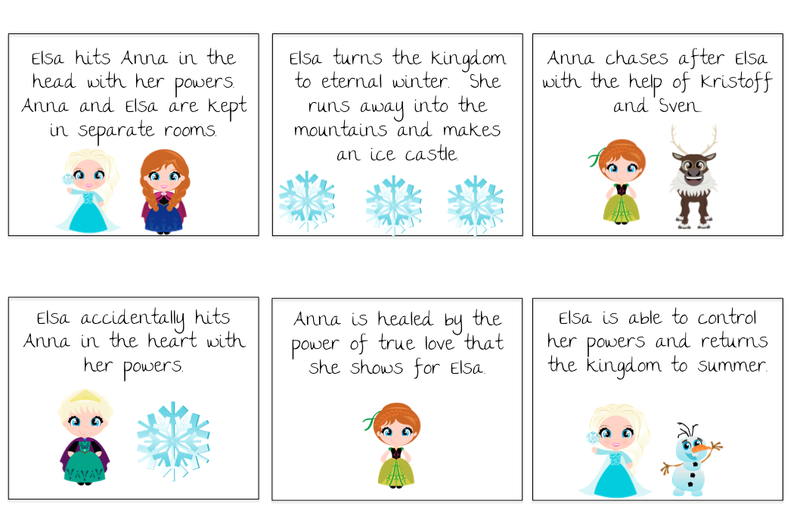 She developed this blog with diversity in mind. Working in the city, your kiddos needs, activities, likes, and overall world is different. 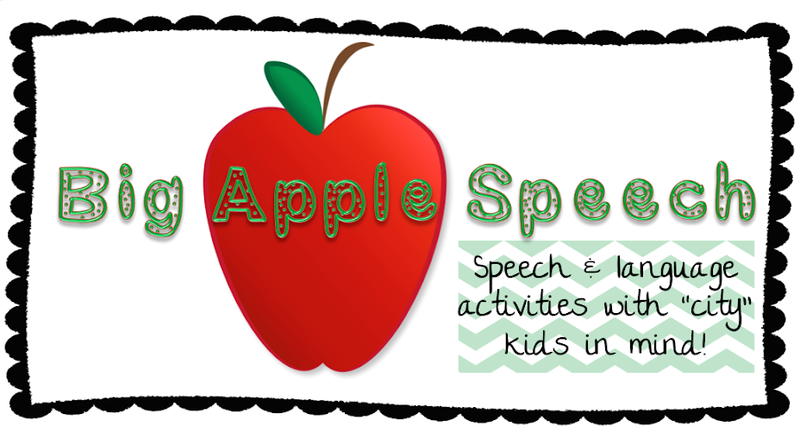 Big Apple Speech targets activities and lessons geared towards our diverse kiddos. PLUS, many and I mean many of her activities are freebies. 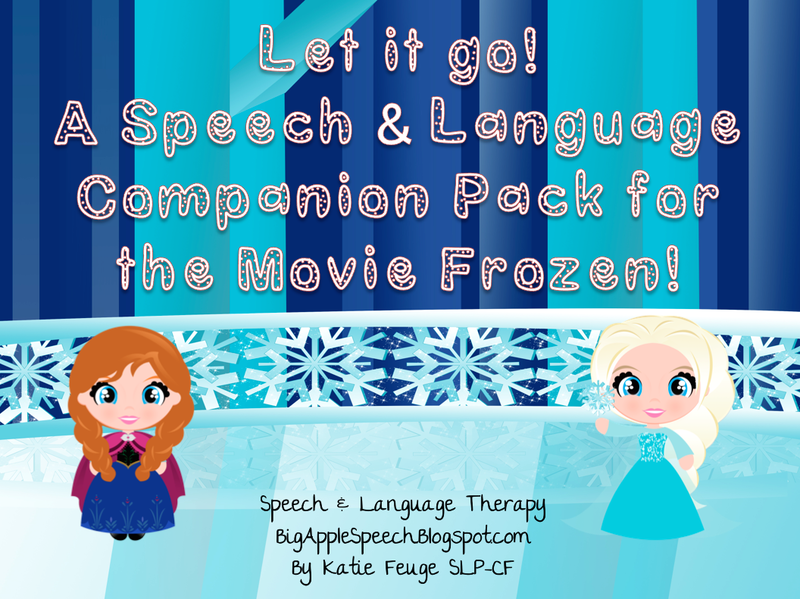 My latest obsession that she has created is based on the movie "Frozen" - she targets a ton of language skills in this mega packet. 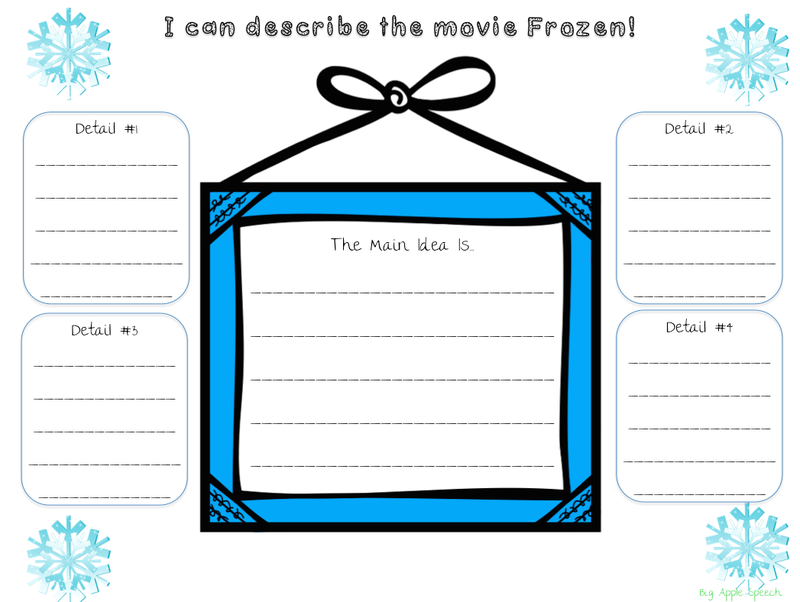 With her permission, I'm sharing these photos of her great packet! Check it out below and download the packet HERE from Big Apple Speech on TpT!